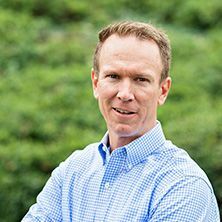 Paul Rengering joined Southern Veterinary Partners in 2019 as Director of Sourcing and Merchandising. Paul leads the strategic approach to pricing and channel selection and manages relationships with veterinary product manufacturers and distributors. Prior to SVP, Paul worked as Regional Director of Operations for a specialty pharmacy and at Walgreens as District Manager and Director of Pharmacy and Retail Operations. Paul is also a Registered Pharmacist with over 20 years of experience in pharmacy operations, multi-unit retail management and quality control. He is an Ohio native and received his Bachelor of Science in Pharmacy from the University of Cinncinati. Paul volunteers his time with numerous organizations that support childhood cancer research and serves as a fundraiser for Hope for Autumn Foundation, Ronald McDonald House Charities and Leukemia and Lymphoma Society. He lives in Hoover with his family and enjoys doing anything outdoors.